The International Cyber Security Protection Alliance (ICSPA) has been set up to fight cybercrime on a global scale. Launched in London on Tuesday, the new body unites governments, international businesses and law enforcement agencies, including Europol. 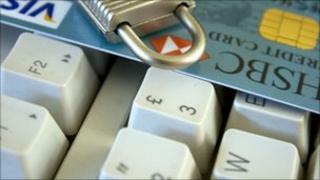 Major security companies such as McAfee and Trend Micro have also signed up. UK Prime Minister David Cameron has welcomed the alliance. "Our government has already injected an additional £650m to help improve our national infrastructure and protect against cybercrime, but the very nature of this threat calls for more than a national response; it demands a truly global response and that is what the International Cyber Security Protection Alliance is all about," he said. The prime minister added that besides forming relationships between businesses, governments and law enforcement officers all over the world, the new not-for-profit organisation, chaired by former Home Secretary David Blunkett, will also be investing in training, as well as building an international exchange of expertise. "ICSPA's goal is to improve international law enforcement capability and capacity to help protect businesses and their customers against this unprecedented threat," Mr Cameron said. Funding for the alliance is expected to come from the EU and a number of governments. Crime Prevention Minister James Brokenshire said that although the internet has brought great opportunities for individuals and businesses, it has also enabled criminals to operate "across national boundaries". "Cybercrime is a truly global problem and to tackle it we need strong partnership between countries and across private and public sectors," he said. In 2010, the government said that cybercrime and terrorism were among the key dangers to UK security. One of the primary goals of the new body is to provide help to the countries that need most assistance, such as China. "You've got to go beyond Europe. We need to make sure this doesn't turn into an all-English club," said Rik Ferguson, director for security research at Trend Micro. "For a country like China, where infrastructure is being abused, there's no reason why they would not become a big part of ICSPA."